If you love a good avocado dressing, this is one to try. 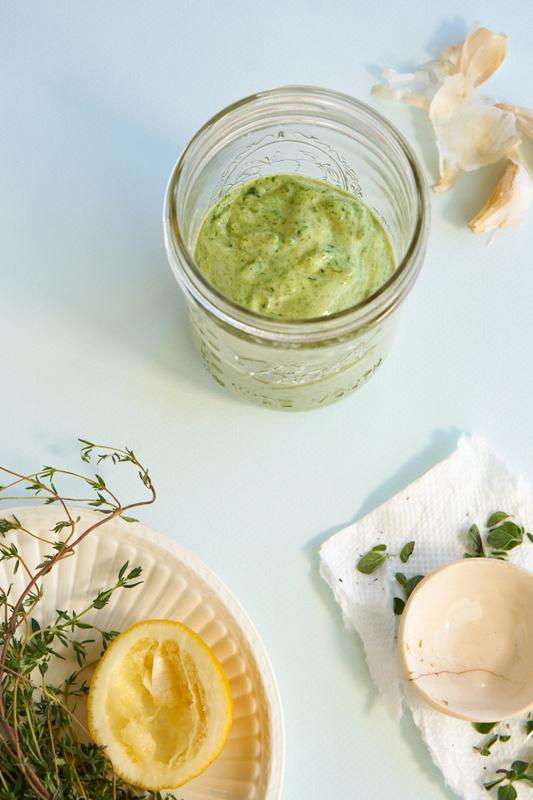 It's a blender dressing fragrant with fresh herbs, seasoned with miso, and boosted with spinach. It's brimming with good-for-you ingredients, yet tastes exceptionally decadent. It's the sort of dressing that is ideal on a wedge of lettuce (or grilled lettuce! ), but I imagine it would be a brilliant compliment to a vegetable crudité platter. I used it for a simple butter lettuce salad with toasted almonds and (more) herbs. Other ways I can imagine putting it to use? As a taco slather, as a generous dollop on a baked potato (or sweet potato), or on any of these lentil soups. I know a lot of you keep spinach in the freezer for smoothies - use that! If you don't have miso, just salt to taste instead. 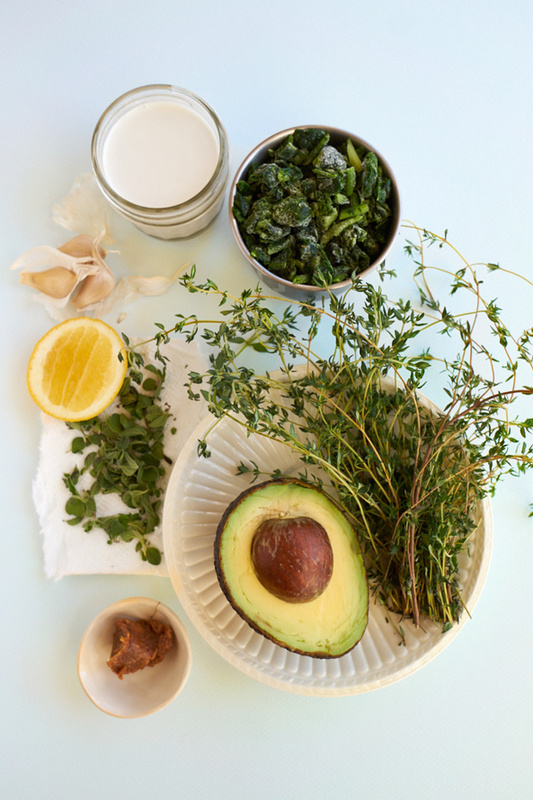 Combine the avocado, nut milk, spinach, herbs, garlic, miso, and 1 tablespoon of the lemon juice. Thin with more milk to make the dressing pourable. Taste, and add more lemon juice and/or a bit of salt to season. A quick video demonstrating how to slice avocado to fan out on grain bowls, salads, and open-faced sandwiches.